Ira Lacey combines various methods and practices of Reprogramming Mind, traditional and contemporary Shamanic Healing, Theta Healing, NLP and Clinical and Conversational Hypnotherapy to achieve successful and permanent results. Ira has experience of working within the wider community of people of all ages and health issues including depression, stress, infertility, anxiety, grief, chronic fatigue, ME, IBS, HIV, relationships issues, confidence issues, weight control, fears and phobias and many others. Ira Lacey successfully works with clients wishing to lose or gain weight quickly and safely without restrictive diets and stay slim. She also specialises in Causes of Illnesses and Personal and Professional Development and fully trained and qualified in these disciplines. Ira Lacey was trained with Surrey Institute of Clinical Hypnotherapy as Clinical Hypnotherapy and Neuro-Linguistic Programming (NLP) practitioner and achieved a Diploma in Clinical Hypnotherapy and NLP. From early childhood Ira was connected to Spirit and her guides. However she undertook formal training for her Intuitive Work with College Of Psychic Studies and School of Intuition and Healing. Ira has also been trained in Shamanic Healing with Sacred Trust. 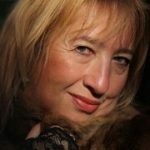 She is available for Intuitive and Psychic Readings, Meduimship and Shamanic and Theta Healing work. Ira Lacey is also a fully trained, qualified and accredited healer in various healing modalities and Energy Management. She is accredited with UK Healers, one of the most respected healing professional Bodies in UK. Ira Lacey is a member of The Society for Shamanic Practitioners in UK and USA. She also is registered with the THinK Institute in Idaho Falls, USA, a governing body for Theta Healing Practitioners and UK Register of Theta Healing Practitioners. Ira Lacey is a member of General Hypnotherapy Register, the largest Professional Organisation for Hypnotherapists in UK and adheres their code of practice. Ira is also a member of General Hypnotherapy Standards Council in UK. Ira is a member of Complementary and Natural Healthcare Council (CNHC). Ira Lacey has a successful practice in England and India. From time to time Ira organises Pilgrimages and Spiritual Tours in India and Nepal. Spiritual Healing – How it Works? How Abalone Shells Can Help?